The Elo M-Series 1502L widescreen LED touch monitor is a modern and stylish interactive solution for customer engagement and employee effectiveness at the point of sale. The sleek wide aspect ratio touchscreen features full HD edge-to-edge glass with display area real estate to showcase engaging, memorable and rewarding content. 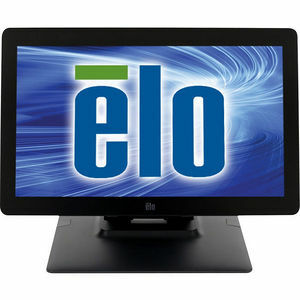 An HD display model is available for transactional and other applications not requiring 1920x1080 resolution. For environments where space is scarce, the 1502L is an ideal POS terminal screen or stylish interactive information display. Built to withstand the rigors of continuous public use, the 1502L is well suited for high use retail venues. The sleek, thin look pairs well with any modern store environment.